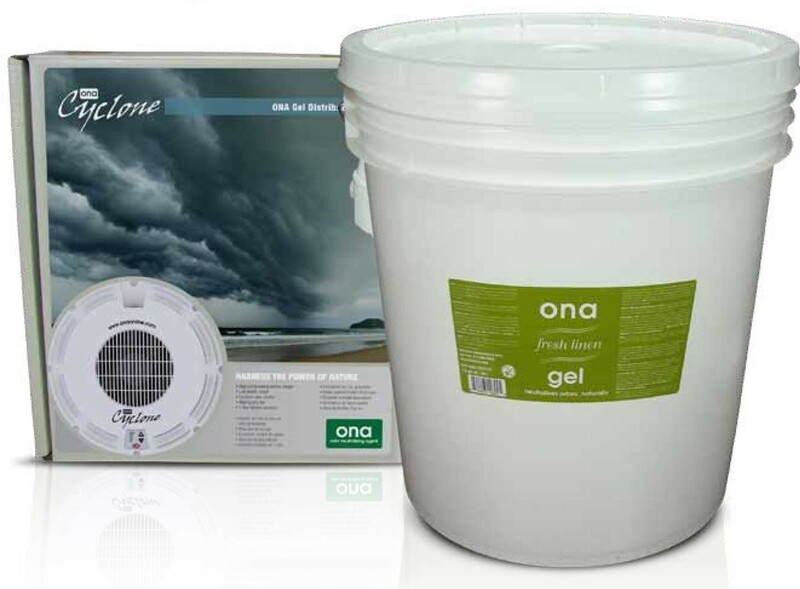 Ona Cyclone Fan - The ONA Cyclone is a cost effective high quality Ona Gel Distribution System. This portable fan runs very quietly while effectively destroying odors anywhere it's needed. Loaded with a 20 liter pail of ONA Gel, it will provide high volume, high capacity odor control in the worst odor conditions. 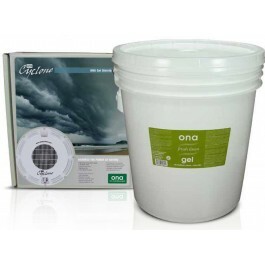 20L pail of Fresh Linen Ona Gel - Ona is a complex formula using essential technology to destroy a wide spectrum of organic and non-organic odors. It is environmentally safe. Ona uses the laAir Purification technology to create the most efficient distribution and dispersion systems for their products.